As y’all know, I started the DietBet a month ago. I knew that it was scheduled to end just days after my birthday, and still I signed up. After several years of slight drops, but mostly raises, in weight, I wasn’t sure I would ever feel that drive to lose a few pounds. I’m comfortable in my own skin. Do I wish that jeans were more comfortable and that I could fit into my skinny girl dresses? Of course…but do I also think that I look awesome in the clothes I have now? Yep. Because sometimes the right plus size clothes can make a girl feel just right. But somehow, I was finally ready to start dropping the pounds. And DietBet provided just the right amount of motivation: Money. But not just like…losing money…the opportunity to WIN money. I signed up for two DietBets: The 30 day bet with Joules and Kari and a 6 month bet with 800-ish other people. I’m in this thing for the long haul kids. I started fast and furious, dropping weight like nobody’s business. It was awesome. Then I tapered off right before my birthday… And it was a rough patch to get back on track. The last several days have been a serious effort to lose that last pound…we’ll find out soon enough if I made it or did not. Even if I didn’t make it, the group of 31 players lost over 200 pounds! That’s a pretty sweet deal if you asked me. So before I share my weight loss victory or not, I thought I’d share a few things I learned during the start of this long journey. Zucchini, when sliced thin and grilled to a dark crisp, tastes like toasted marshmallows. (You heard it from me first.) Now I get why my dad always called it nature’s candy. This one surprised me the most: The less of the bad stuff you eat (salt, refined sugars, heavy carbs), the less hungry you get. On the days that I ate mostly fruits, veggies, cheese and proteins, I ate less without feeling hungry. Eye-opener. So, did I win the DietBet? Yep. Im down 10.5 pounds in a month. It was hard work, especially with the birthday celebrations this past weekend, but I made it. The goal is to keep chugging along (probably at a slower pace than this one-month kickoff, but I’m super excited for the next 5 months) and lose several more pounds. I dont notice the weight loss as much in my stomach as I do in my face, but it’s all got to come off eventually! Thanks for the support, kids! And congrats to all of the Pocketful of Quirky Grace betters, because more than 200 pounds is no small feat! Would you try a DietBet? Does it seem like a motivator that would work for you? What healthy eating tips do you have for me? That’s awesome. I fluctuate in my weight too. Gain a few in the winter, loose it in the summer. I noticed it was worse when I was at my parents place because I was driving everywhere compared to walking everywhere in the city. I find when I have a decent amount of protein i’m not hungry at all. If I have cereal or oatmeal for breakfast, I’m starved by 11. If I have an omelette? I’m good till 1pm. An apple is a great snack in the afternoon, but an apple with a teaspoon of peanut or almond butter will hold me through to dinner. You’re right, the worse you eat, the more you tend to eat because it’s not as filling. Me too on the summer/winter weight. It’s crazy. But this time, I’m goin’ DOWN. 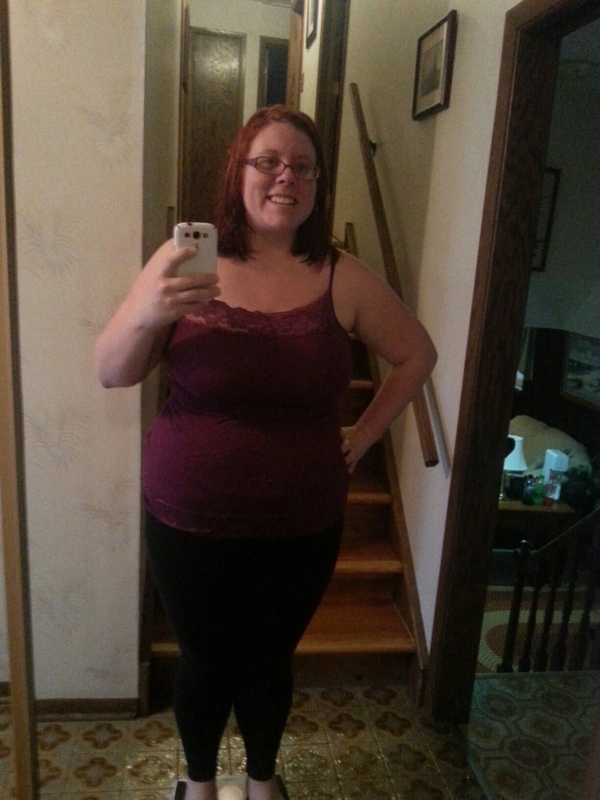 Like…goal=59 pounds down. So we’re 1/6 of the way there! I lost over 80 pounds a few years ago. And then life happened, I went into a “screw it” mode, had surgery and gained about 40 back. I’m struggling with the motivation now. I know I need to get back into shape, and eat better, but I’m having a hard time getting there. The BEST thing that worked for me was moderation and portion size. if I was dying for fast food, I’d go to McDonalds. but instead of the Big Mac or Quarter Pounder, I’d get a happy meal 🙂 I got a cheeseburger, french-fries and apple slices, but nearly as many calories as an adult meal. Yeah, I lost like 40 or 50 pounds when I was in college…and then gained it all back…double in the last decade. I feel like the hardest part is taking the time to make the good stuff instead of grabbing something fast. WATER! Lots and lots and lots of water. Flavor it with fruit or Mio or whatever. Sodas, starbucks (my favorite!) are empty calories that you could enjoy a more fulfilling way. Oh, I LOVE water. I rarely drink pop-and when I do, it’s the soda stream, so lacking in the high-fructose stuff. I drink water, tea (not sugary tea, just tea), some milk and some coffee (but not fancy latte stuffs). My biggest problem? Remembering to drink water before I’m super parched. I do best when I have a big thing of water sitting right next to me at all times. And then forcing myself to walk to the water fountain to refill it. Better to do the diet than two move to one of the most obese states: (1) Mississippi (2) Alabama. Somehow, I don’t think you and Brian would be happy there. A little olive oil and vinegar goes a long ways on salads. True about the olive oil and vinegar, but I had an amazing salad last night with no dressing and it was phenom. Woot! Way to go Chrissy! You are doing awesome! Now I will go find me some Zucchini to grill! Thank you so much! And seriously…the zucchini was SO good. The perfect texture. I have definitely heard that. I have a few books that I’ve been flipping through for inspiration; I’ll have to check that one out. Congratulations! That is amazing. You are inspiring me! Thank you Lily! You can do it too! Lol. I ate a deep fried hot dog wrapped in naan and sauce yesterday. It was amazing. Crap. Still have to weigh in for other dietbet. Hey, this is awesome! Ten pounds in a month is something to be proud of– that sounds like healthy weight loss right there. I did NOT know that about sliced zuchinni… hmm…. I never grill anything (hello, lazy) but this may intrigue me enough to at least try it. Also, I’m pretty sure the zucchini is a texture thing. I just know it was amazing.